This third installment in OCEG’s Anti-Corruption Illustrated Series addresses anti-corruption issue management. Every organization should have a strong capability to identify, prioritize, investigate and resolve bribery and other corrupt activities, as well as compliance system weaknesses. 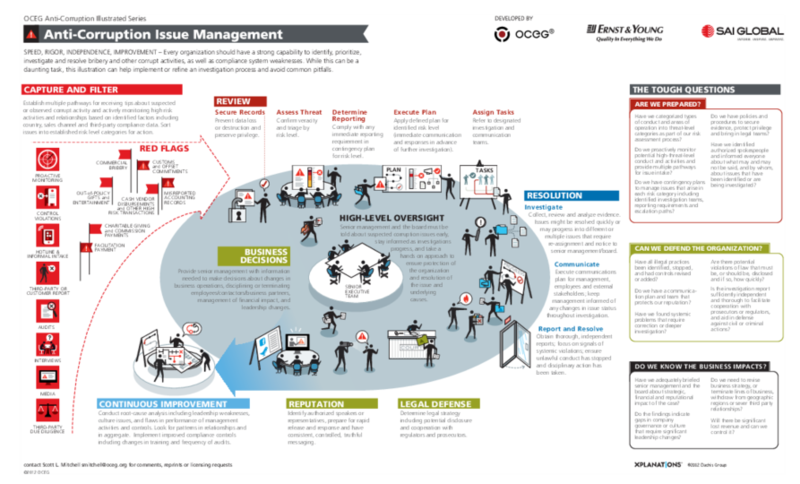 This illustration can help implement or refine an investigation process and avoid common pitfalls. We have emailed instructions to access Illustration – Anti-Corruption Series #3 – Anti-Corruption Issue Management to . Make sure the email arrives in your inbox: either add "support@oceg.org" as a safe sender to your email platform, or if you use Gmail, drag our email into your Primary tab.